This map demonstrates territory of Kazakhstan. actual map of Tassay download for free. map of Shokybay with gps calibration download for free. interesting map of Sentas 1 cm to 1 km free download. topographic map of Romanovka 1 cm to 1 km this. 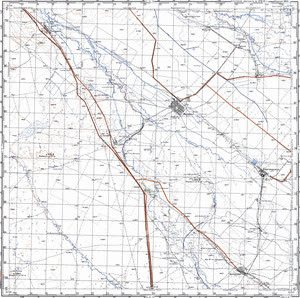 detailed map of Prokhladnoe free download. free map of Kuandyk download for free. actual map of Karagandykol' with gps calibration displayed. actual map of Ivanovka 1 cm to 1 km download for free. actual map of Dzhus-Agach 1 cm to 1 km for you. actual map of Bol'shevik download for free.